Horseback riding, Hiking and More! Horseback Riding, Hiking, and More. Whether you grew up riding horses or have never been astride one of these tremendous animals you are sure to enjoy your ride with us. There’s no experience necessary to ensure a wonderful time. 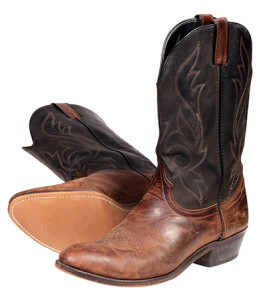 Choose from half day or full day trail ride along a mountain trail or an hour long lesson to brush up on your skills. Hike and Like It trips get you up in the high country into some of the most remote and beautiful locations of the North Cascade Mountains. Our trips are designed to help take the intimidation factor out of camping with our capable trail stock carrying your gear along our trails. Our trip staff are experienced campers, horsemen, cooks, and also love to hike! Let us guide you into the wilderness and help you explore the mountains. Outfitting and guiding in the Stehekin Valley since 1947; the Courtney family specializes in High Country Adventure. The options are plentiful and bound to entice even the most timid adventurer to come play in our mountains. 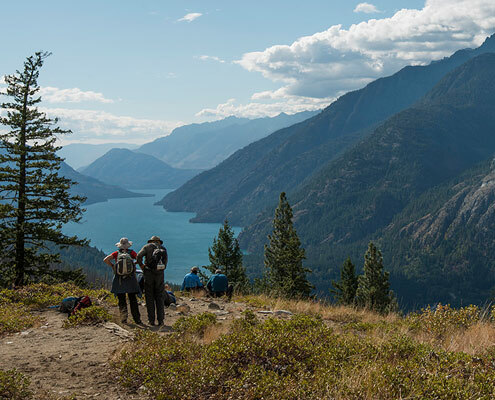 Stehekin Outfitters offers many possibilities to explore the Pacific Northwest. Hikers can enjoy “Hike and Like it” trips where we’ll provide the camp and meals plus our horses will carry your duffel bag with personal belongings in it allowing you the freedom to carry just a day pack. These trips allow hikers to relax on the trail and enjoy the scenery with the majority of the day to get from camp to camp. In the evening, relax around the fire and let our cook fill you up with heart meals cooked over a wood stove. 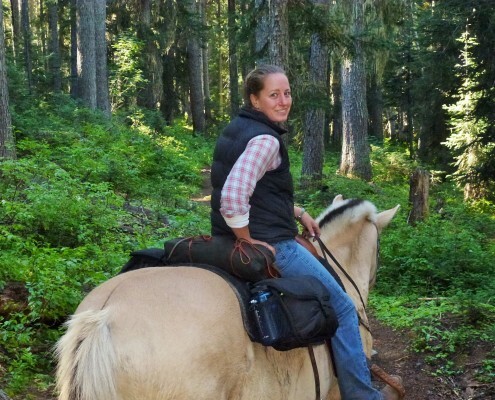 Staying closer to home, our horses can take you on a half day ride to an alpine lake or join us on the all day ride with lunch to Bridge Creek. Both rides follow a mountain trail winding through the forest and out onto vistas for scenic views of the majestic peaks. Hunters, fishermen and hikers alike enjoy having us pack their gear into a base camp and dropping them off to camp on their own. This gives guests the freedom to cook and explore on their own schedule with a prearranged time to have a packer and horses come pick them up to go home. Hikers wanting to just pass through can utilize the tent to tent camps at Bridge Creek and Cottonwood. 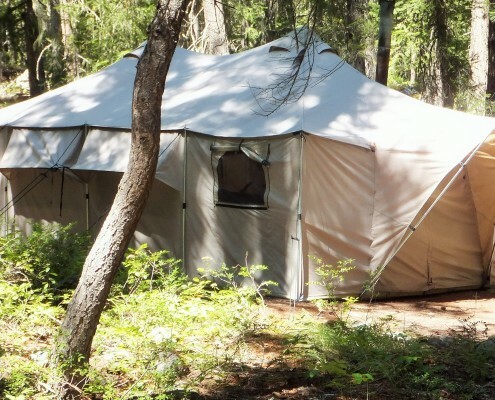 These camps feature a large Outfitter tent that sleeps six with cots and sleeping bags with removable liners, wood stove, table and chairs, plus full kitchen set up with propane stove. Guests can use the camp on their way so cut down on gear to carry or stay at one for a few days as a base camp to adventure on your own. All of our activities give folks access to plenty of fishing and photography opportunities.